Do you want something that stands out? Customize the bracelets in our collection or custom design your own women’s bracelet. It will bear your “signature” and resemble no other. Creativity’s limit is your imagination. The only condition is that you love precious, semi-precious and fine gemstones as well as gold and luxury jewellery. Take the big step and demonstrate your creative talent and let us demonstrate our know-how. It is made up of chain links, some of which can be set with precious gemstones including fancy colour diamonds, rubies, sapphires and emeralds. Though crafted following the chain link necklace, this women’s bracelet is r not meant to have a medallion. Rounded and solid, they are made of rings that can be misshapen to appear more unique. 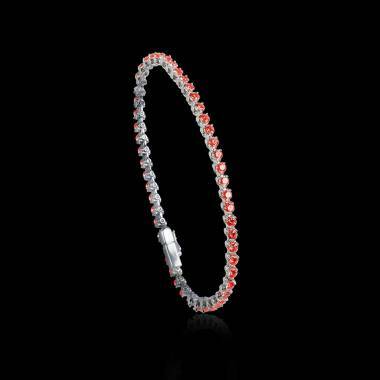 This type of women’s bracelet can also be open or closed. This is a model that is perfectly suited for a women’s pearl bracelet. It is often made up of pearls of the same size and shape; you can however make it more innovative by selecting different colour pearls and sizes. This type of bracelet was initially made for new-borns (a birth gift with the baby’s first name or initials) and for men. However, some women also find them attractive. 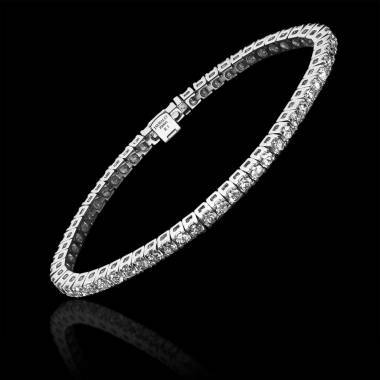 This bracelet is strongly linked to the wearer’s identity.